A convection oven uses a top and a bottom heat source, as well as fans to circulate the heated air inside the cooking chamber. 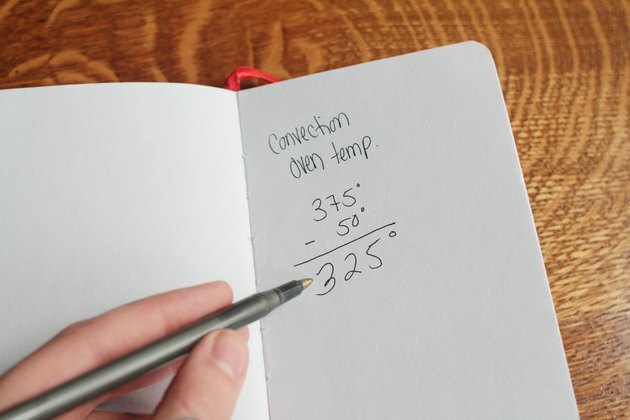 This prevents the "hot spots" found in regular ovens and provides more even cooking. Convection ovens cook most foods 10 to 30 percent faster, too. 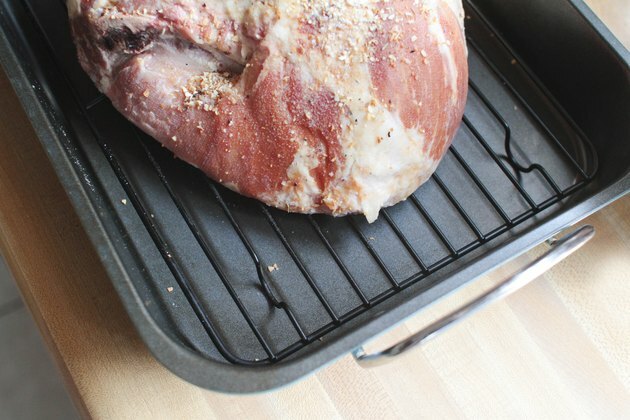 While a convection oven typically offers more precision than a standard oven when it comes to cooking a ham, cooking times still vary. Convection ovens are not all the same -- and the size and shape of the meat affect cooking times as well. Preheat your convection oven to 325 degrees F. As a general rule, you should subtract 25 to 50 degrees from regular oven cooking temperatures when using a convection oven. 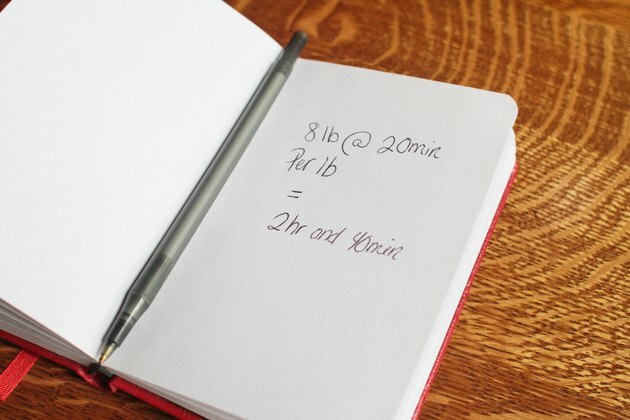 Remove the ham from the refrigerator about 1/2 hour prior to cooking. Trim off some fat if there is an excessive amount, but be sure to leave a thick layer to help hold in the ham's natural juices and flavors. 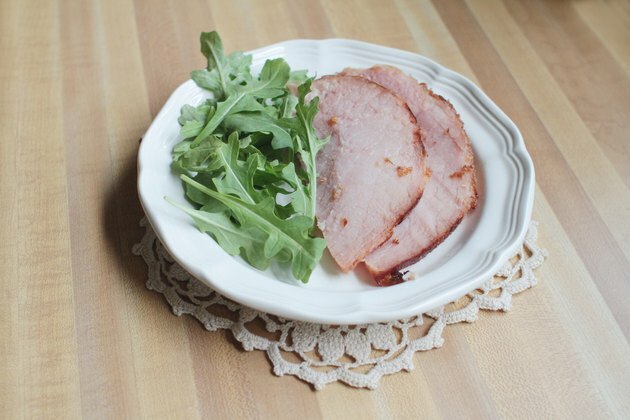 Season the ham according to taste or the recipe you're using. Place the ham in a shallow roasting pan, with the fatted side facing up. Use a pan large enough that the ham doesn't touch the edges, so the convection oven's circulated air travels all around the meat. 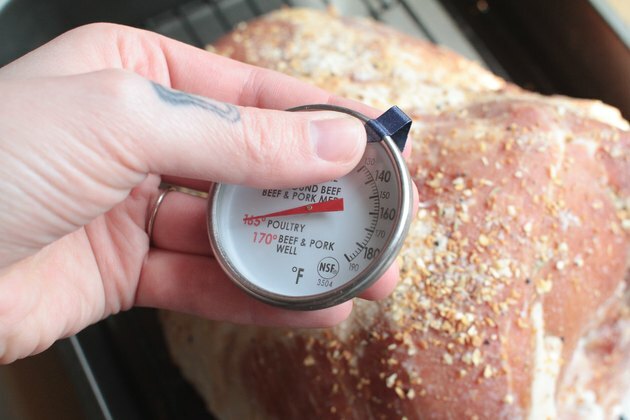 Insert a meat thermometer in the ham if you have one that's safe for use in the oven during cooking. Make sure it isn't in contact with bone, if your ham is on the bone. Test the ham's internal temperature every few minutes once the cooking time is almost elapsed if you don't have a meat thermometer. Cook the ham for approximately 20 minutes per pound if it is on the bone. 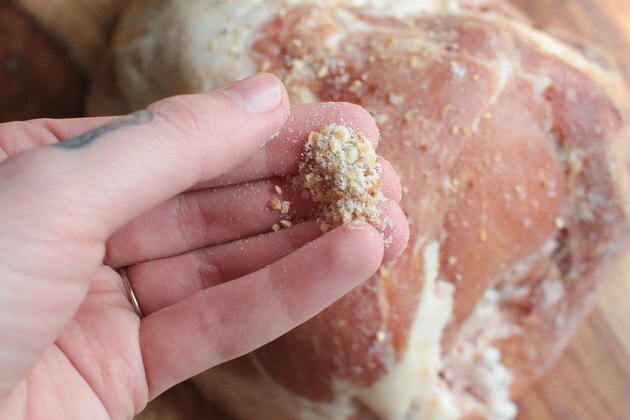 Plan to cook it at least a few minutes longer per pound if you're cooking a boneless ham. Baste it periodically if your recipe calls for it. Remove the ham from the oven once its internal temperature reaches 160 F. Drape a large piece of aluminum foil over the ham and let it sit for about 15 minutes, during which time its temperature will rise about 10 degrees higher and its juices will settle.